Enter the 2019 Global Design Awards Today! ...and you or your team have completed one or more projects (between January 1, 2016 and December 31, 2018) in one of the following categories: Exhibitions, Placemaking and Identity, Public Installation, Strategy/Research/Planning, Wayfinding, Interactive Experience and Digital Experience Content. And, you want to enter (and win!) an SEGD Global Design Award. Now that we've established those basic parameters, let's talk deadlines. The timeline is clear; what’s next? Not sure if your project is right for the awards? Winning Could Change Your Life—It Changed These! 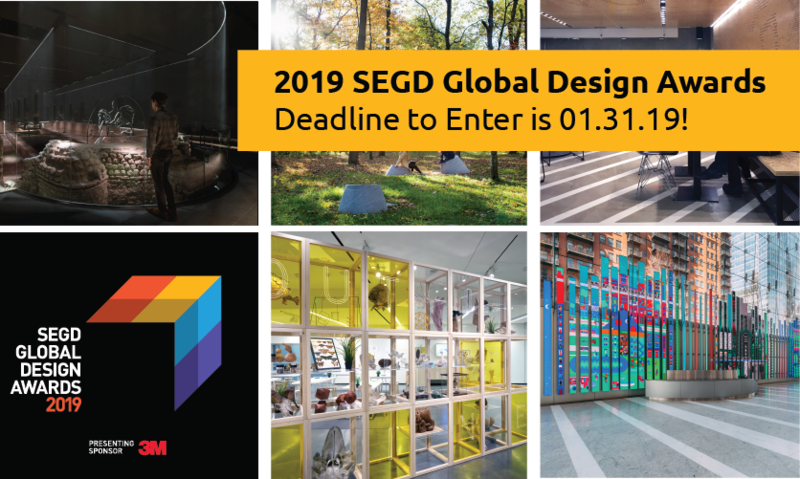 The SEGD Global Design Awards is the only international design program that focuses exclusively on user experiences in the built environment. The SEGD Global Design Awards includes a special category for giving back: The Sylvia Harris Design Award recognizes the critical importance of accessible public-sector design work and enhancement of communication for projects in the public realm. All of your peers are entering. 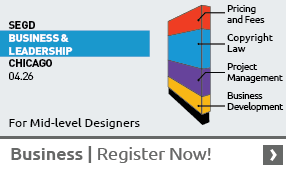 See how you stack up to others in the industry. The awards ceremony is at the 2019 SEGD Conference Experience: Austin. Even if you don't win Best in Show, there are other honors and publication opportunities for entrants that will still offer significant exposure! Don't wait a minute more! Opportunity is knocking. Let's do this today!